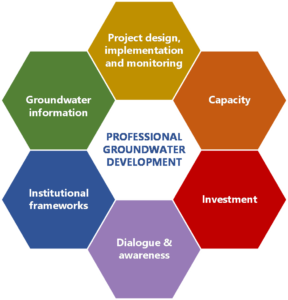 GeoDrilling International Magazine published an article about our “first ‘Professional Management of Water Well Drilling Projects and Programmes’ online course”, provided by Unicef, Skat Foundation and Cap-Net. The course kicked off in early March 2018 and ended in May with many successful participants who work in 35 organisations in 43 countries, of whom 33% are women. We would like to run the course again later in the year, repeat it in the future and also make it available in other languages, starting with French. We know that there is demand. With the structure and materials now developed and online, future courses will be less expensive. If anyone would like to sponsor a course, say as part of corporate social responsibility (CSR), either fully or partially, please contact us at foundation@skat.ch.